The State of Tamil Nadu has approached the Supreme Court and sought a review of its judgment on government advertisements. 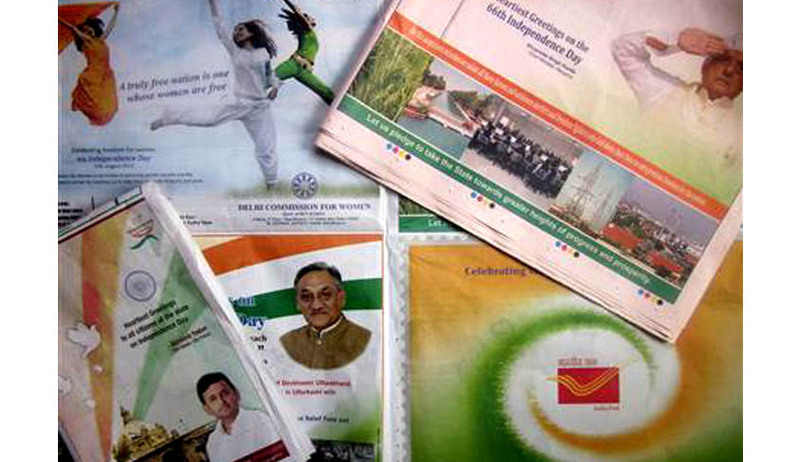 The Apex Court, through a judgment delivered on May 13 had ruled that government advertisements can carry the photographs of only the President, Prime Minister and the Chief Justice of India. The Bench of Justice Ranjan Gogoi and Justice P.C. Ghose had accepted the recommendations given by a Committee which was appointed by the Supreme Court and had incorporated the same within the judgment. In the review petition filed before the Apex Court, the State of Tamil Nadu has reportedly stated that the judgment goes against the aspect of federalism and considers only the Centre's view. The petition states that Chief Minister and Governor are also constitutional functionaries but the Apex Court has disregarded the same. The review petition also states that by the virtue of the May 13 judgment, the Supreme Court is intruding into the domain of executive, i.e policy making. The petition filed through Advocate Yogesh Kanna also states that the Apex Court did not consider the recommendations given by the Committee regarding publishing of photographs of the Chief Ministers. The Supreme Court through the judgment had differentiated between “government messaging” and “politically motivated ads”, and had banned the publication of photographs of politicians in government advertisements. You may read our detailed coverage on the issue here.